I've written previously about the refurbished foyer at the Hotel Edison in New York. This is the outside of the hotel, a mass of columns and stepped levels. 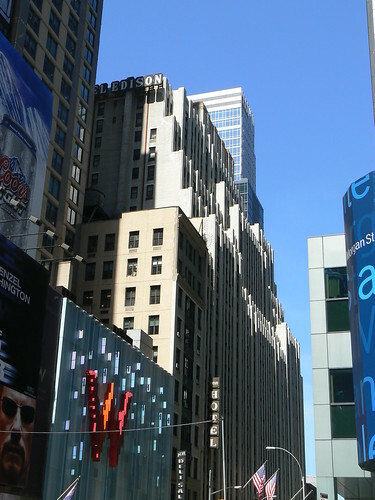 It is a vast building yet it is difficult to get a sense of just how big because everything is BIG in NYC and W 47th Street is relatively narrow so it isn't really possible to step back and get a really good view.